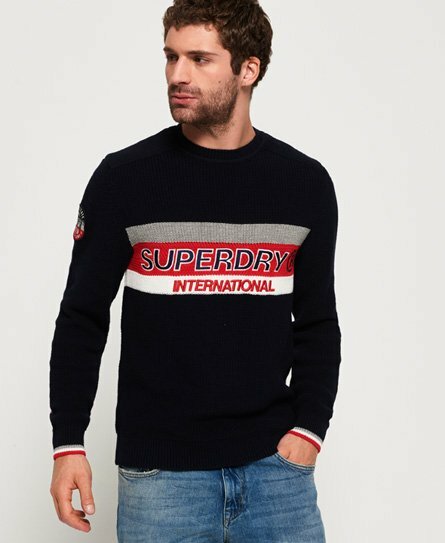 Superdry men’s Athletic textured crew jumper. A cotton jumper that’ll be sure to keep you warm in those colder months. Featuring stripe panelling across the chest and cuffs, a large, applique Superdry logo across the front and a logo badge on one of the arms. The jumper also as a ribbed neckline, sleeves and hem for added comfort. Pair with jeans for a comfy weekend look.